Why does your character sing this aria? What emotions does the aria showcase? Do you have to modulate your voice to color different emotions, at different parts of the aria? 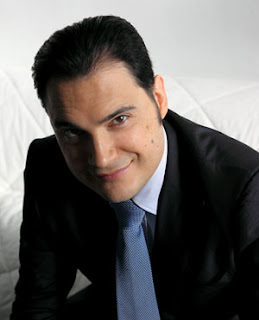 Rodolfo wants Mimì to get to know him and at the same time make her feel what he is feeling in this encounter. It is a moment of great pathos and true romanticism. During the aria the vocal color changes—each phrase has a different sound. In a single aria he goes through many different moods, and it requires the proper vocal expression for each diverse emotion. 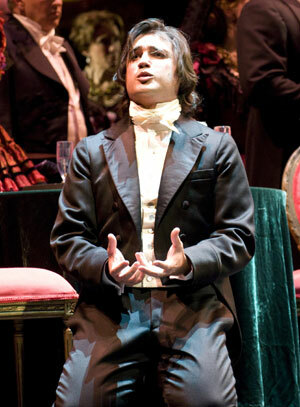 Francesco Demuro as Alfredo in Seattle Opera's 2009 production of La traviata. In Act Two, on the subject of how smoothly Rodolfo woos Mimì, Colline and Schaunard joke that “Non son armi prime le sue rime." / "Tanto che sembra ver ciò ch’egli esprime!” (“His lines are antiques." / "That’s why they work!”) Is Mimì truly unique, or has Rodolfo sung an aria like “Che gelida manina” to other women before? Perhaps he’s sung other songs, but not “Che gelida manina”! That one’s for her; the circumstances of their meeting are unique, and Mimì is his great love. Does your character change as he sings this aria? How does the relationship between you and Mimì change as a result of what you sing? After having found each other in this encounter, in all their fragility and hope, the aria permanently joins the souls of Rodolfo and Mimì. What is the great challenge about singing this aria? The difficulty is giving the proper depth and weight to voice and interpretation. What do you hope the audience is listening for when you sing this aria? La bohème is a great masterpiece—melancholy and brilliant with perfect dramaturgy. It requires great interpretive intensity; Puccini wanted to give much to the listener, and the listener should come with a pure heart, in order to be able to take from the opera the most beautiful emotions. 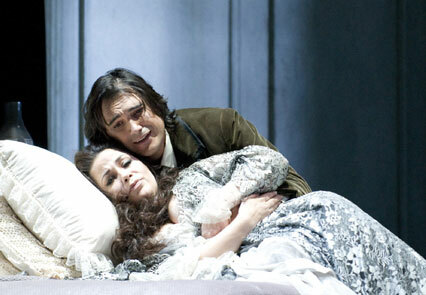 Eglise Gutiérrez (Violetta) and Francesco Demuro (Alfredo) in Seattle Opera's 2009 production of La traviata. What do you love the most about singing this aria? I love Puccini deeply, and La bohème is the work of my heart. When I play this role, every fiber of my being vibrates. I let myself be completely carried away by the music, these wonderful notes; I dig into myself, into my most intimate feelings, to bring even more to the character. I can't wait to sing it at Seattle Opera, where I happily made my debut in the United States and have the most beautiful memories.